I remember the first birthday party we threw for Morayo-Hope once she had started proper nursery. We'd had parties with mostly family & close friends in previous years. This was her 4th party - that age where you couldn't really exclude any kids from the school. I was desperately hoping half the people wouldn't be able to come! 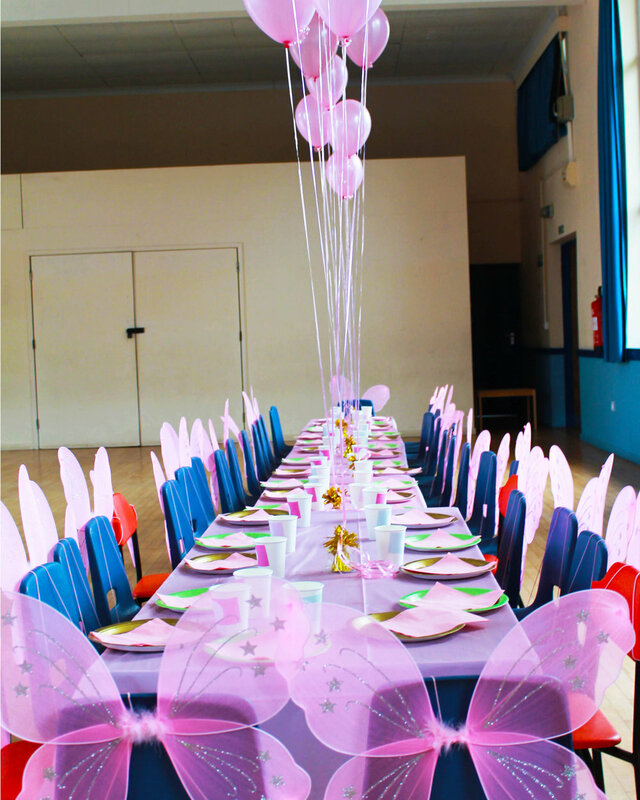 Well, about 34 out of 40 invitees said yes and there began the madness of mama T. It was a fairy themed party, I had soooo much to do as I had foolishly decided to do absolutely everything myself. I cut and pasted these labels onto 40 cups!! Every bit the little fairy princess! That cake was a labour of love I tell you! LABOUR!! The decorations were made by me from scratch, the cake, the food - everything was in my hands. Thankfully I heeded my friend's advice and hired an entertainer. I wasn't fun to be around on the day, it's a miracle Kola didn't pack his bags and leave with the crowds afterards! I now know we can survive anything! We all sure needed a week to recouperate afterwards.And all those presents - goodnesss me! I've never seen so many toys in my life - except in a shop. It was overwhelming for us all. The following year, I took on a bit less, and invited fewer people. We had the party at home but still it was exhausting and a little more than stressful. Let's just say the heaven's opened up in true British style and we had to evacuate the masses into our bijou dining room! It was an experience I never want to repeat!! To be fair, her gratitude at the end of each party always bowled me over. For instance, when asked what the best part of her day was after the 5th party, she said "spending time with my family and friends." This warmed my heart. Alice stopped by to say hello! Thanks to the British weather everything was drenched! On both occasions I swore I'd never have another party again, but as another year rolls around, there I am excitedly planning another party with rose tinted glasses. However, this year with the move and everything else since, I just felt exhausted. I didn't have the head space for thinking up anything at all. She wanted a beach party and I was left wondering if she was turning 6 or 16! We decided in the end that it was best to just leave out the party for this year. We opted instead for doing a few of her favourite things, and using the money saved to buy her a beautiful gift. If you've ever thrown a kids party, you know it's not cheap! No matter how hard you try, it still costs a pretty penny! After the party she needed wellies to go outside! So, I broke the news to the little miss and she wasn't happy. I almost caved in but men (accountants) have a way of making us stick to our guns - hehe. And in the end it was the best weekend we could've had. It really was the perfect birthday for her. If you follow us on instagram or facebook you'll have already seen me post a little about it. We had FUN! The next post will detail everything!! But here's a little sneak peak! How do you do your kid's parties? 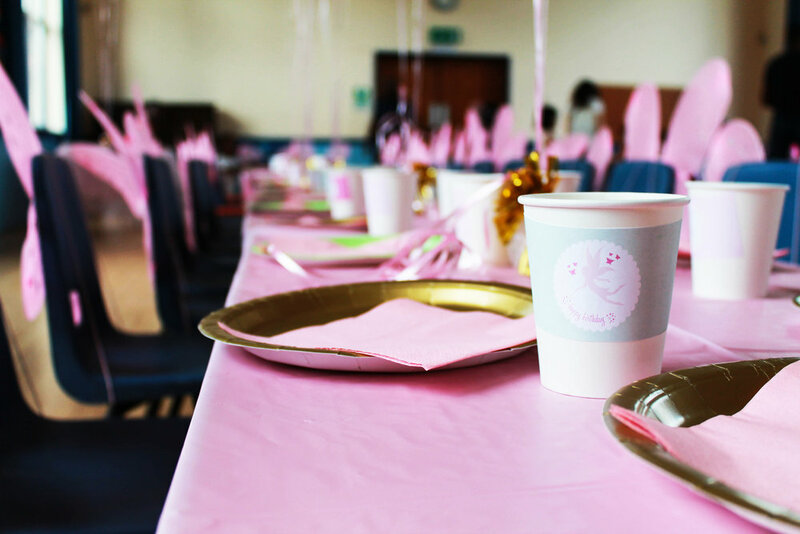 Do you plan on parties at certain ages or just deal with each year as it comes? Let me know below!